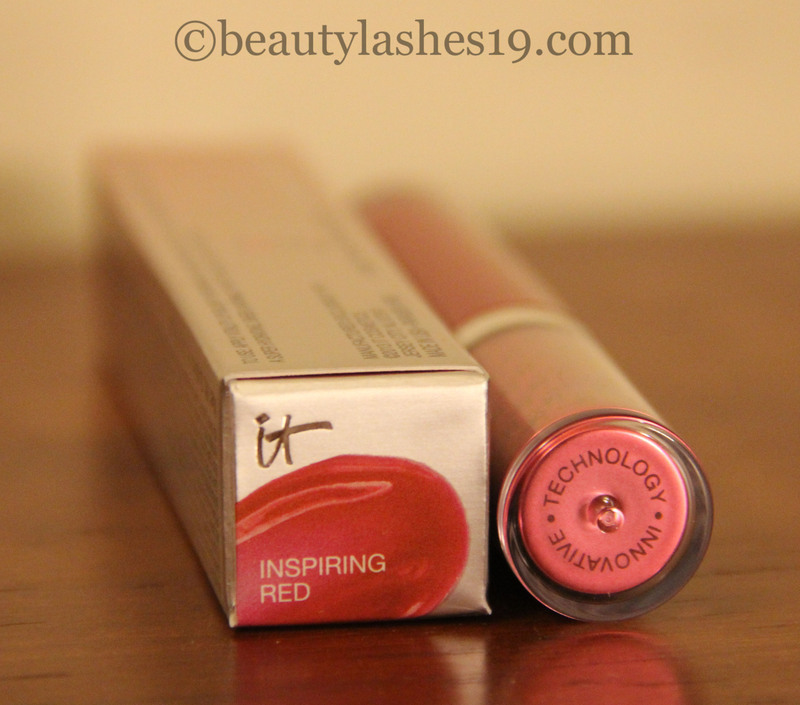 IT Cosmetics Vitality lip blush hydrating lip gloss stain! Hi! I hope you all had a relaxing, fun Memorial day weekend.. Hubby & I decided to go out of town and had a quiet & relaxing weekend in KY..
It’s one of the lip stains with a glossy finish.. and as with all or most IT Cosmetics products, this one has anti-ageing benefits as well.. This lip gloss stain is available in three other shades.. Inspiring Red is the brightest and the deepest of the lot..
Here’s what their website has to say – “Vitality Lip Blush™ Hydrating Gloss Stains are your super- hydrating lip glosses, anti-aging lip serum and lip stain all in one! Delivers high shine and rich pigment that glides on like a lightweight serum that instantly hydrates, repairs and protects lips with a flush of naturally pretty color that lasts. This truly innovative formula drenches your lips in Collagen, Hyaluronic Acid, Peptides, Plum Oil, Cherry Oil, Shea Butter, Avocado Oil, Argan Oil and Jojoba which work together to treat, hydrate, condition, and nourish your lips, minimizing the appearance of lip lines and wrinkles! Packed with anti-aging anti-oxidants including Vitamins A, C, E, Acai, Green Tea and White Tea to protect and ward off free-radicals all day long. Paraben Free. 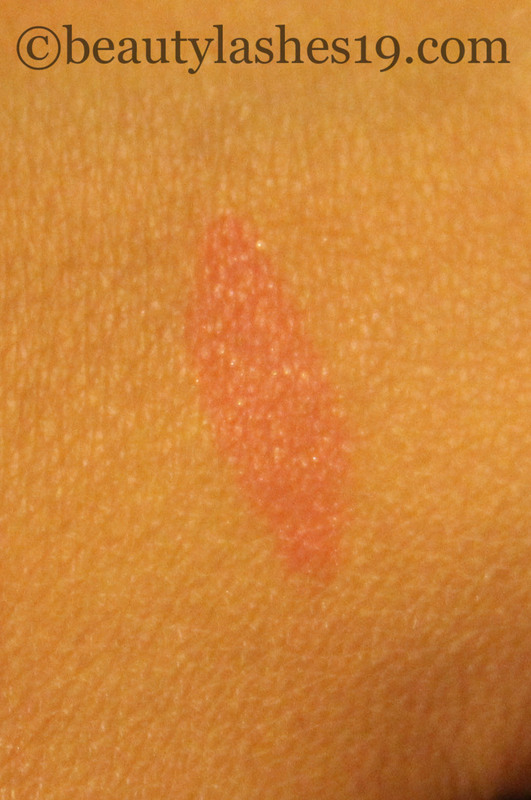 The texture is quite creamy… not sticky at all.. quite unlike most glosses.. The formula is quite moisturizing and it lasts for hours.. The pigmentation is quite good on these.. 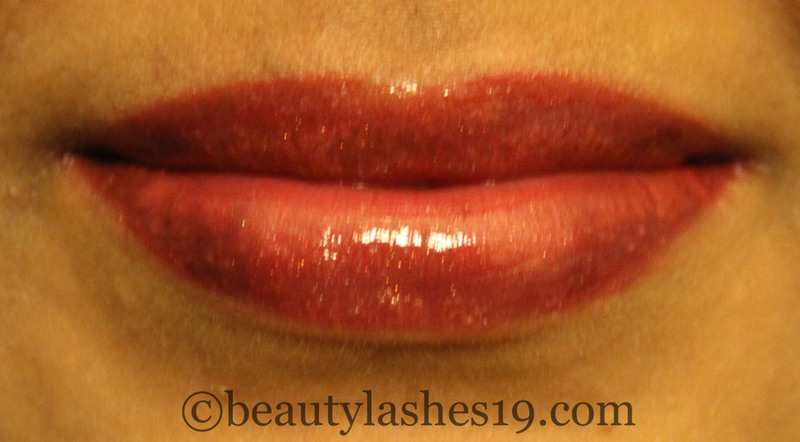 This particular shade has tiny flecks of red glitter in the bottle.. however, it does not feel gritty on the lips.. Also, this gloss does not settle into the fine lines on my lips.. a bonue! 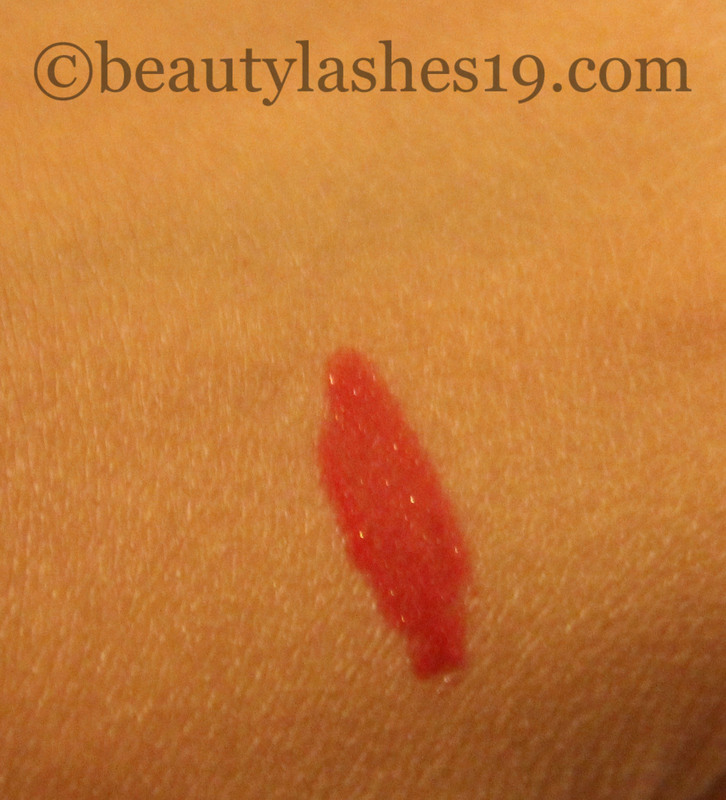 As the gloss disappears over time, the stain remains and does not dry out my lips… It doesn’t cause peeling either.. 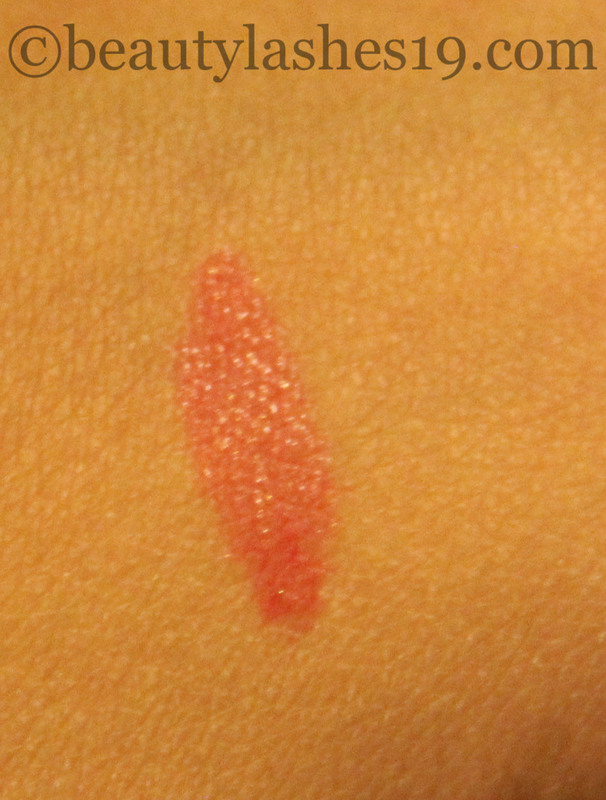 I cannot detect any scent in this lip gloss which may be a bonus for those who are sensitive to scent.. The lip gloss starts off as a vibrant red that fades to a faint red to a pale bright pink.. It’s this pale bright pink that stays put as a stain.. So the color changes with wear time.. That’s something I am not a fan of.. I would like it to stay true to color.. Also, the color of the stain can vary depending on one’s natural undertones on the lips.. Overall, I think it’s a bit pricey at $24.. and I would consider it a luxury lip gloss stain.. It might be a good idea to buy it during sale.. It’s good for those who love wearing lip glosses on their own and have a special occasion coming up where you need the color to stay! I really love the feel and comfort of gloss stains on the lips.. if only, the stains were true to their color..